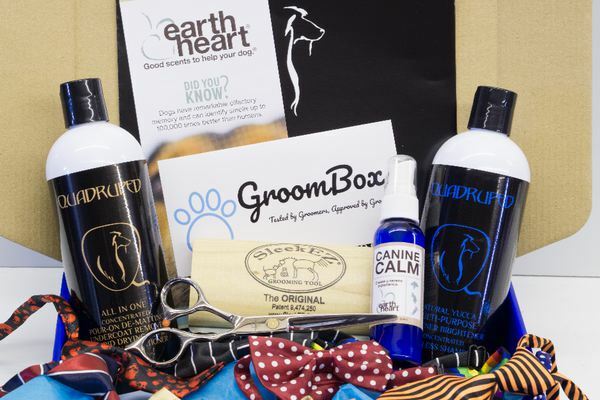 Enter your email address below to receive a notification when Groombox starts accepting new sign-ups! Enter your email address below to receive a notification when Groombox is accepting new sign-ups again. Please order by the 18th to get the current box. IF the order is placed after the 18th you will receive the next months box when they go out the following month. 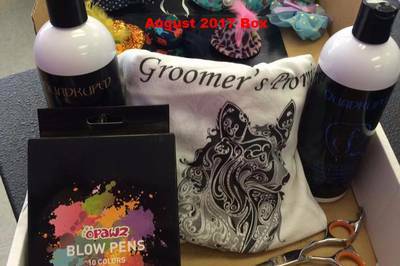 Dog Groomers & Owners Check it Out! 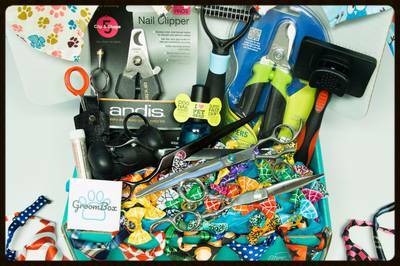 GroomBox is a monthly subscription box for pet groomers and pet owners. 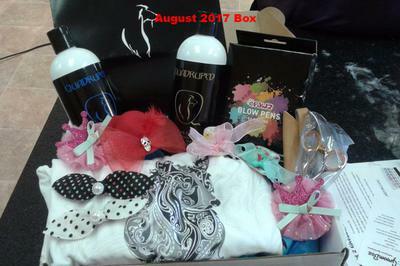 Bows and such vary in all boxes. 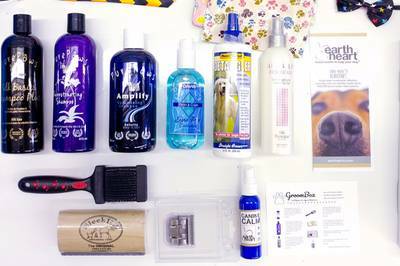 You can be sure that everything in the box is Groomer Tested and Groomer Approved! 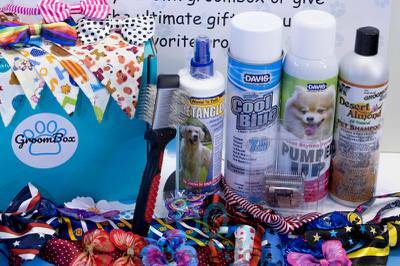 Boxes contain a variety of items such as bows, bandannas, neckties, shampoos, shears, blades, combs, and more! I do look forward to this box every month! It gives me the opportunity to try full size products i would have never tried. Also comes with some occational tools. Who dosent love some new shears brushes and combs every now and again. I received my first and only box today. It had EXPIRED hot spot spray in it. Everything else was stuff you can buy at a pet supply store. I will not dare trying the flea shampoo sent either as it doesn't have a seal and now I do not trust that it is safe for animals.. The first box I received was great. Nicely packaged with great shampoos and cute holiday bows. 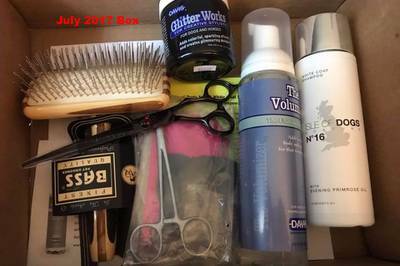 The second box look like someone just threw random stuff in a regular box. I got a bunch of things that I will never use and nothing was really great quality. I was really disappointed with the second box especially because this subscription isn't cheap. The stuff I got seemed cheap and I could have bought all those things for less then the cost of the box. I will be cancelling after this. Not worth the money.